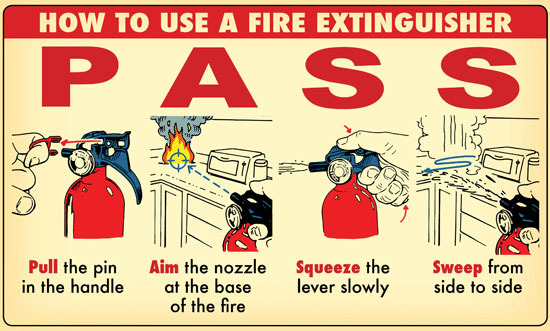 How to use a Fire extinguisher in the event of a fire! AIM... Aim low, pointing the extinguisher nozzle (or its horn or hose) at the base of the fire.NOTE: Do not touch the plastic discharge horn on CO2 extinguishers, it gets very cold and may damage skin.